In furtherance of its continued commitment to interventions that transform lives and improves the health and well-being of communities in Nigeria under its Diageo Water of Life Scheme, Guinness Nigeria Plc has constructed a self-sustaining motorised solar-powered water facility in Tyowanye Community in Buruku Local Government Area of Benue State. The Tyowanye water scheme is one of three major water schemes the company has delivered this year in collaboration with its NGO partners and is the 35th project Guinness Nigeria has delivered under its Water of Life initiative. The Tyowanye project was executed in collaboration with OXFAM, an international NGO determined to change the world by mobilising the power of people against poverty. Guinness Nigerias continued commitment to initiatives that improve access to safe water was restated at the event by Guinness Nigerias Managing Director, Mr. Peter Ndegwa. He also revealed that Guinness Nigeria will continue to play a leading role to promote safe water stewardship in Nigeria. He said, "Guinness Nigeria, a Diageo company, had since 2007 embarked on the Water for Life Programme, which has provided over 10 million people in 18 countries across Africa with access to potable water. In furtherance of this programme, Guinness Nigeria has prioritised interventions that improve access to safe water especially in communities that face acute water shortage." "We have invested in sustainable technologies that help us to manage our water use. The construction of the Tyowanye motorised solar-powered water scheme is in furtherance of our efforts to help more Nigerians access clean drinking water. 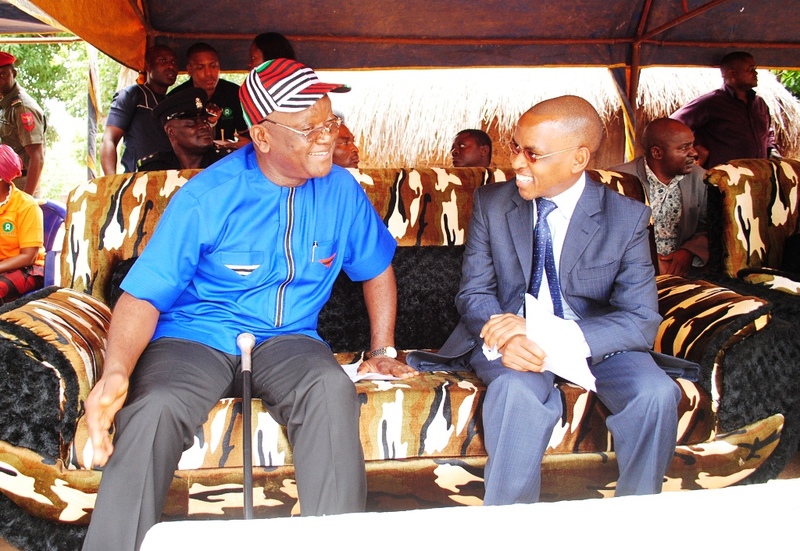 Our desire is that by improving access to safe drinking water, we can assist the people of Tyowanye community improve their overall well-being", Ndegwa said. Also speaking at the event, the Governor of Benue State, Dr Samuel Ortom expressed his gratitude over the newly constructed water scheme. 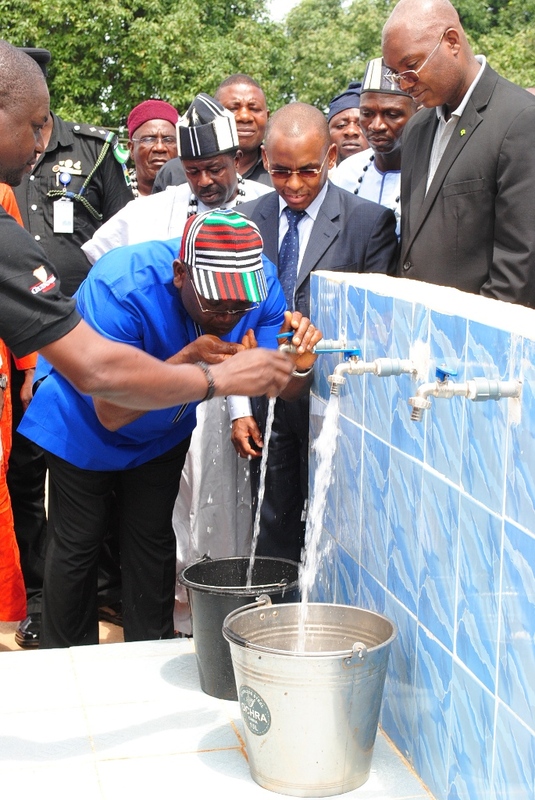 He stated that the water facility will support the state governments drive to improve health and hygiene for Benue state citizens, adding that as we know, water is life, so he who brings water brings life. Guinness Nigeria has brought life to this community through this project and we are very grateful for this intervention. He enjoined the community to protect the investment and use it judiciously to ensure its continued sustainability. He also stated that the State Government would be delighted to further partner with Guinness Nigeria in the area of agriculture where the state, known as the food basket of the nation is able to provide all the agricultural inputs Guinness Nigeria requires in its operations. The Tyowanye water scheme which was formally unveiled by the Governor of Benue State, Dr Samuel Ortom and the Managing Director/CEO of Guinness Nigeria, Mr Peter Ndegwa, comprises of two solar-powered boreholes and two blocks of VIP toilets will benefit over 10,000 people in and around the community.